Motorola is expected to announce the Moto X+1 next week in Chicago, but a new report may have spilled some of the new phone’s coolest features ahead of the big event. A leak shared on Facebook over the weekend claims to reveal Motorola’s plans to improve on some of the best features introduced with the Moto X and add a few new ones as well. 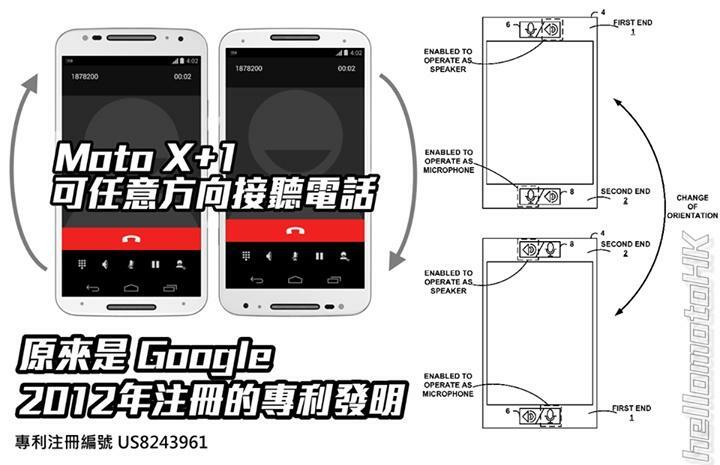 According to Motorola leaker HellomotoHK, the Moto X+1 will introduce an improved camera with optical zoom and 3D recognition. There’s no explanation for what the new 3D technology will do exactly, though it sounds like the device might unlock by scanning your face or even use its camera to identify other nearby objects. A separate report from HellomotoHK claims the phone will be able to answer calls from any orientation thanks to some new software based on an old Google patent. The best part of last year’s Moto X were the clever ways Motorola found to enhance Android without slowing it down. Features like Active Display and Touchless Control quickly won us over, and it looks like they’ll carry over to the new phone as well. With the same great features, a few new tricks and impressive hardware the Moto X+1 already sounds pretty good on paper. We’re curious to see how Motorola improves on last year’s design and it won’t be too long before we get an official look at the device.